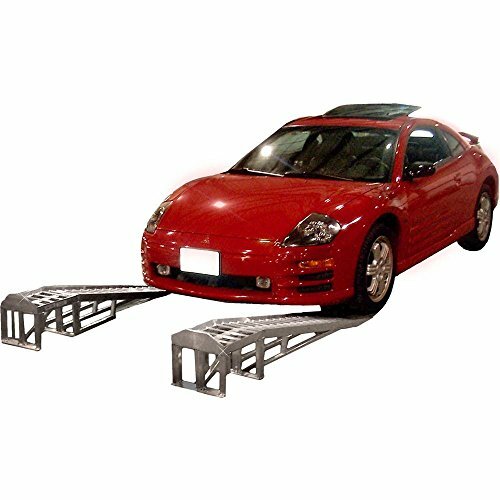 Pair of extra long low profile car ramps designed for sport vehicles and trucks with minimal ground clearance. 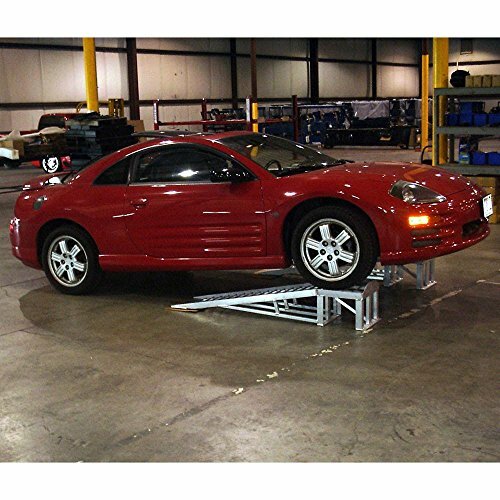 Each car service ramp has an 11.5 degree loading angle over a 66" length to raise a sports car 7" off the ground for oil changes, servicing, or for display in a dealer showroom. Once loaded, vehicle wheels then rest on a 16" platform with an integrated wheel stop for easy access to the underbody with a creeper. Each track is 14" wide to accommodate larger and wider race tires. 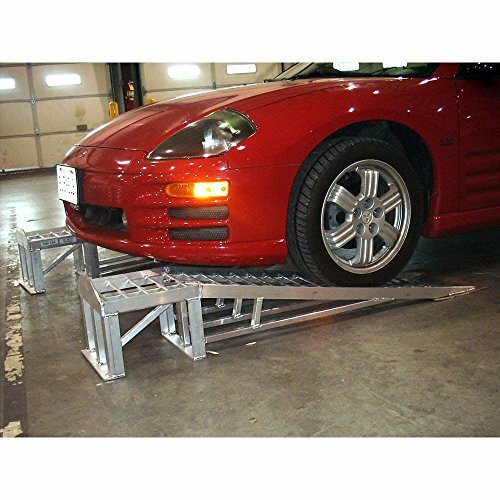 Raised side rails on each ramp help wheels stay tracked and centered during loading and unloading. 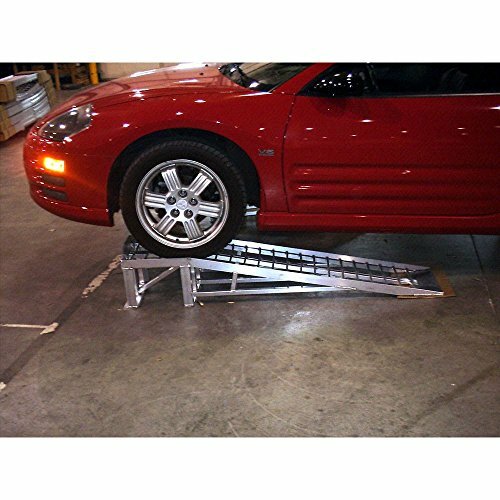 The complete car maintenance ramp system works with vehicles weighing up to 3,000 lbs. distributed over both ramps and platforms. 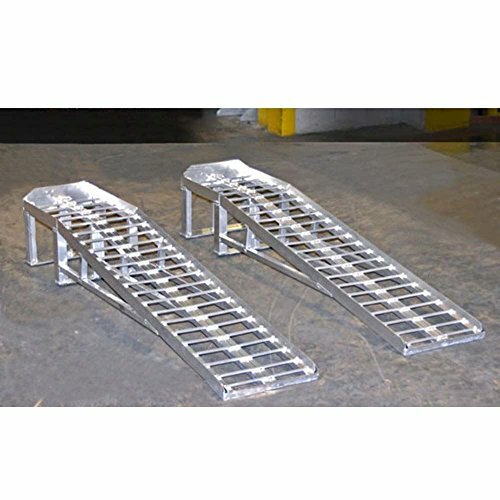 Bonded rubber on the wide platform supports and reinforced ramp gussets provide added stability. Made with durable, heavy duty all-aluminum construction. 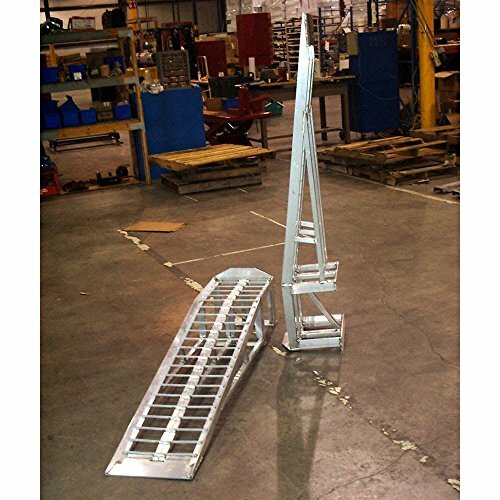 If you have any questions about this product by Discount Ramps, contact us by completing and submitting the form below. If you are looking for a specif part number, please include it with your message.